We put our clients at the heart of everything we do, and our experts pride themselves on being able to simplify the legal issue no matter how straightforward or complex. Our aim is to offer clear, practical legal advice in order to achieve the best possible outcomes for our clients. We have experts in housing & property, family, wills & probate, employment and litigation. We also have specialists in commercial law and offer a range of legal services for businesses. With over 150 staff in 6 locations throughout Birmingham and the West Midlands, you can rest assured that we have the resources and expertise to provide a full range of legal services for you or your business. 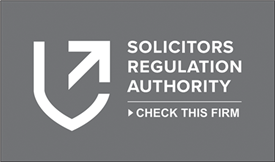 QualitySolicitors Davisons is part of the largest network of law firms in the UK, with local law firms spanning the whole of England and Wales and customer service at the heart of everything we do. Our initial conversation with you is free of charge, without obligation and in complete confidence. This gives us the opportunity to fully understand your situation and establish how we can help you. If you do choose to instruct us, you’ll have direct contact with your legal expert via phone, post and email. Our Edgbaston, Solihull and Sutton Coldfield offices are open on Saturdays. Before you instruct us, we’ll be completely clear about how much it is likely to cost and, once we start, we’ll keep you regularly updated. Call or email before 3pm on a weekday and you’ll hear back from us the very same day. We are Lexcel accredited, the legal mark for excellence in practice management and client care. We also hold accreditations for excellence in conveyancing, family law and children law. QualitySolicitors Davisons is offering Wills at no cost* to people aged 55 and over as part of an award-winning Will Scheme partnership with Barnardo’s.